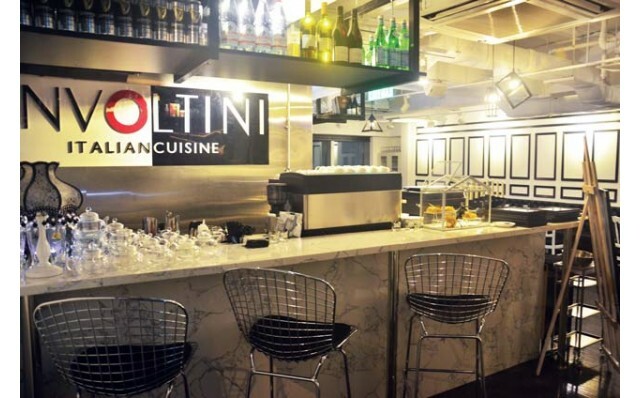 Involtini Italian Cuisine is a pleasant hidden gem. 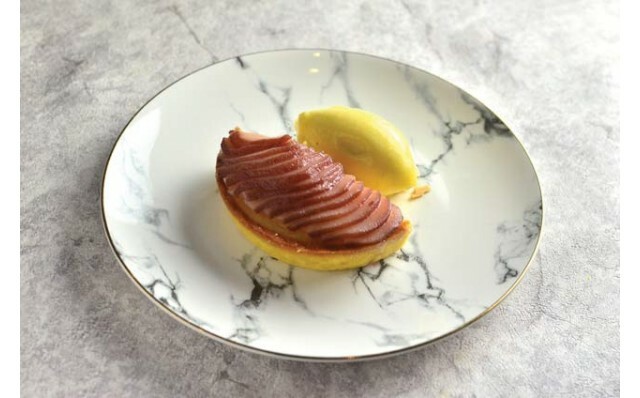 Founded by Chef Jack Law who apprenticed at the Michelin 3-star restaurant 8½ Otto e Mezzo Bombana, Involtini specialises in handmade pasta and its own cured meats. Since opening in 2016, the restaurant has earned a Michelin Bib Gourmand for two consecutive years. The cosy restaurant offers a friendly and relaxed ambience, perfect for casual gatherings or special occasions. We were there to try the restaurant’s Fall promotion – the Hokkaido Crab Tasting Menu, which, at $788 per person, represents excellent value. The tasting menu starts with Real Tomato, an amuse bouche that is barcala and fish with tomato sauce, followed by Shellfish on the Beach – fried mini crab, squid tartare in razor clams style, mini piadina with crab roe. 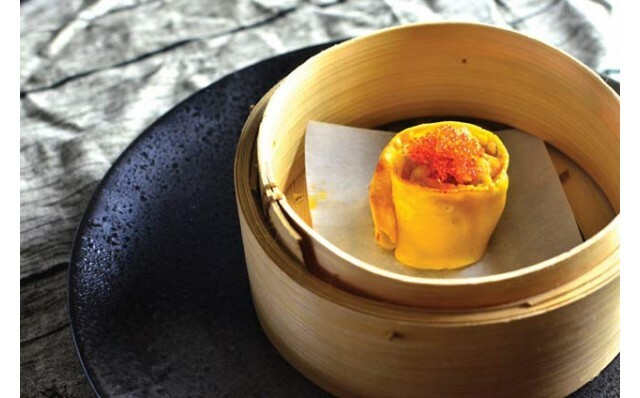 The antipasto is a real delight, a “Shu Mai” of seabass, guanciale and hairy crab roe in Rotolini. 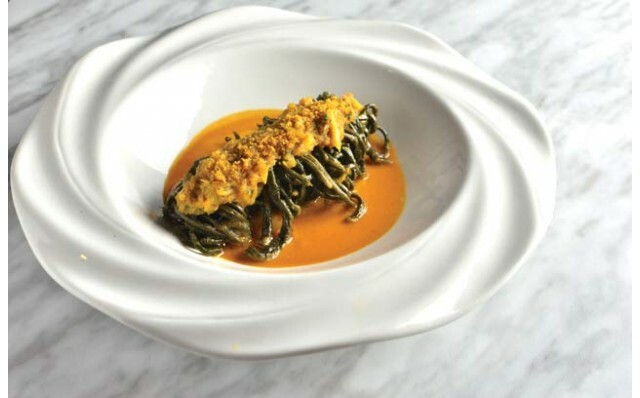 The two primo are Pan-fried Risotto with Prawn, Khumbo Hairy Crab Soup and a pasta of infused Homemade Squid Ink Tagliolini with hairy crab roe and salty egg seafood sauce, which is delicious. 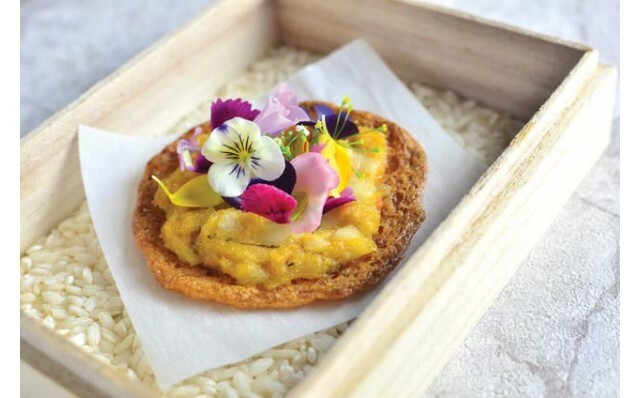 The secondo of Crispy Rice Pizza with Hairy Crab Roe and Flowers rounds out the meal before the desserts which are Lemon+Pear+Ginger Dolce, plus Ginger Tea with Lemon and Honey. Our meal was paired with an excellent selection of Italian white and sweet wines, smartly chosen to match the flavours of the food. We were most impressed with Chef’s Law’s innovative infusion of Italian, Chinese and Japanese cooking styles. We believe the restaurant is destined for greater acclaim and we highly recommend a visit for a delightful meal.